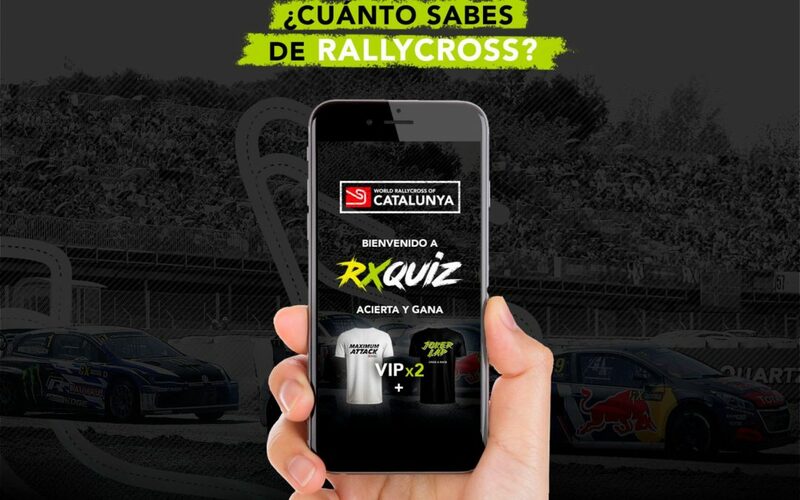 There is less than a month left for the engines to restart in the CatalunyaRX, but what is already here is the RXquiz. The first set of questions about rallycross, in which you can test your knowledge and you can also win great prizes. RXquiz is an application aimed at all lovers of rallycross, based on a question / answer system where each question will have 4 possible answers and only one will be correct. The questions are related to everything that surrounds the world of rallycross, history, curiosities, technical and relevant data of the FIA World Rallycross Championship. All the participants of RXquiz (do it right or wrong) will enter the raffle of great prizes and experiences.